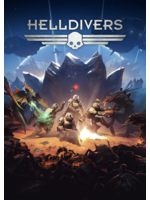 Helldivers, the dual stick shooter of Arrowhead Studios will be available on PS4, PS3 and PS Vita tomorrow for around €20. 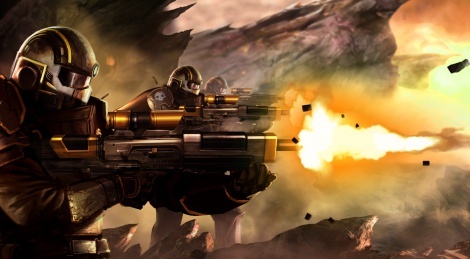 The game being cross-buy, cross-save, cross-play and cross-chat, you can really choose to play on whatever platform you prefer with whoever you want. Up to 4 players can participate, local or online, and you should know the game is pretty challenging (beware of friendly fire!) and requires a bit of training to master all its possibilities. Check out all our 1080p/60fps videos featuring the introduction, the tutorial, the 3 co-op missions we tried yesterday evening, and the customization aspect of the game. Pretty cool. Im going to pick this one up. Waited for this title a long time. Especially the coop mode must be fun as hell. Also great reviews. Not sure about the single player, but the coop looks fun. Seems like this game was meant for two people going back-to-back.